Swimming New Zealand enjoyed an outstanding opening to the New Zealand Open Championships with six swimmers going under the qualifying mark for the world championships. Added to this six Para-Swimmers met the qualifying standards in eight events for the IPC World Championships at the West Wave Aquatic Centre in Henderson. Commonwealth Games champion Lauren Boyle produced another world class time to win the 400m freestyle, her third performance in the top 10 in the world this year. 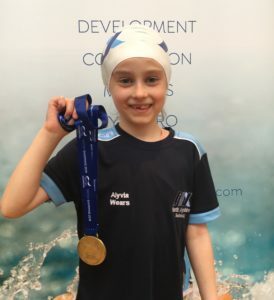 She led fellow qualifiers Glenn Snyders, Matthew Stanley, Emma Robinson, Corey Main and Bradlee Ashby to a place in the world championships in Kazan, Russia in early August. New Zealand had only five individual qualifiers for the last world championships two years ago, and have six on the first of four nights. 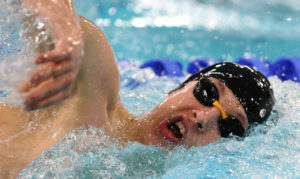 They were matched by the Para-Swimmers with six swimmers meeting the qualifying standard in eight swims for the IPC World Championships to be staged in Glasgow in July. The brilliant Sophie Pascoe led the way with two qualifying times and a world record, joined by Halberg Award winner Mary Fisher with two qualifying times, and Jesse Reynolds, Hamish McLean, Rebecca Dubber and Nikita Howarth. 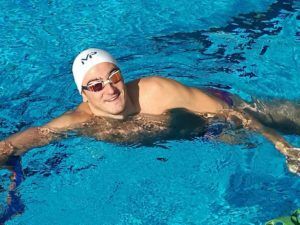 Veteran Snyders booked a place to Kazan a decade after his first visit to the world championships, in his signature event, the 100m breaststroke. 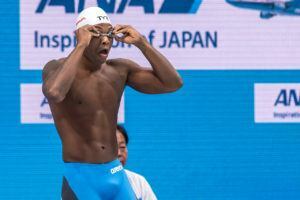 The 28 year old, now based in Los Angeles, clocked 1:00.35 to sneak under the qualifying time for the world championships by 0.1s. He set the 14th fastest time in the year this year but felt nervous after a challenging morning swim when his goggles filled with water from his dive. “That hasn’t happened since I was a kid and it was unnerving. I would have liked to have gone faster but I came here to qualify so I’ve done the job,” Snyders said. He finished clear of Julian Layton (Greendale) 1:02.64 and Alex Peach (United) 1:02.91. Australian-based Stanley also nipped under the qualifying time when he went 3:50.73 in the 400m freestyle, which was 15/100ths of a second under the world championships mark. 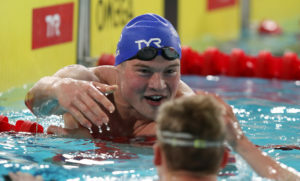 The race was won by New Zealand-based Michael Dai from China in 3:50.64, although the London Olympic representative has yet to qualify to swim for this country. He dragged Stanley through under the qualifying time with Wharenui’s Matthew Hutchins, currently swimming at the University of Wisconsin, third in 3:50.93, only 6/100ths of a second outside the qualifying mark. “I’ve had a limited build up so I knew I would not be at my best and that was pretty hard for sure,” Stanley said. Commonwealth Games champion Boyle was timed at 4:06.13 to win the 400m freestyle, the ninth fastest time in the world this year. This gives the 27 year old three of the world’s top-10 times this year. “With a great swim in Australia last week and now two good 4:06 swims today that is pretty satisfying at this stage,” Boyle said. “It’s a packed schedule here so it is a good way to start,” she said with the 200m and 1500m freestyle tomorrow followed by the 100m and 800m on Thursday. She also dragged Commonwealth Games relay representative Emma Robinson (Capital) through to a qualifying time of 4:11.32, which was just over a second inside the qualifying mark, her first individual qualifying effort for a world championships. The biggest excitement came for 19 year old Ashby from the Fairfield club in the Waikato, who took out the men’s 200m individual medley in a personal best 2:00.76, less than half a second outside the national record and just outside the qualifying mark for a FINA A qualification for Kazan. 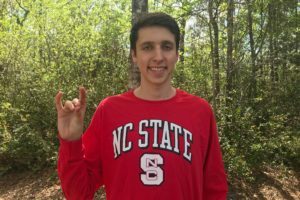 However as the winner Ashby qualifies for a FINA B time as part of the development provisions for swimmers targeted for the 2020 Olympics and beyond. He led home the North Shore pair of Commonwealth Games representative Mitchell Donaldson (2:04.40) and Wilrich Coetzee (2:05:09). The stunning Pascoe set the pool alight when she won the Para-Swimmers’ 100m butterfly in a second record 1:03.72, which was a remarkable nine seconds under the qualifying standard. Later in the programme she led a qualifying clean sweep in the 200m individual medley, joined by Halberg Award winner Mary Fisher (Capital) and fellow Commonwealth Games representative Nikita Howarth from Te Awamutu. 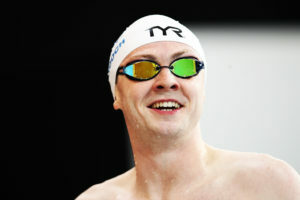 “I’ve been training well but it’s great to come here and swim well, to get a PB on the first day,” Pascoe said. The other Para-Swimming qualifiers were Jesse Reynolds (Fairfield) in the S9 category of the 400m freestyle in 4:30.15 and Hamish McLean (Wanaka) in the S6 category of the same event in 5:43.63. Fisher, only at the championship for today before returning for University examinations, was nearly one minute under the qualifying mark in the 400m freestyle for the S11 category, with North Shore’s a Dubber clocking 5:33.72 which was more than seven seconds inside the required qualifying time. The championships continue until Friday. Men 100m breaststroke: Glenn Snyders (North Shore) 1:00.35, 1 (Qualified FINA World Championships); Julian Layton (Greendale) 1:02.64, 2; Alex Peach (United) 1:02.91, 3. Women 100m butterfly: Helena Gasson (Fairfield) 1:00.40, 1; Samantha Lee (Capital) 1:00.58, 2; Georgia Marris (United) 1:00.98, 3. Men 400m freestyle: Michael Dai (Coast) 3:50.64, 1; Matthew Stanley (Matamata) 3:50.73, 2 (Qualified FINA World Championships); Matthew Hutchins (Wharenui) 3:50.93, 3. Women 400m freestyle: Lauren Boyle (United) 4:06.13, 1; Emma Robinson (Capital) 4:11.32, 2 (Qualified FINA World Championships); Monique King (North Shore) 4:19.62, 3. Men 50m butterfly: Nielson Varoy (Parnell) 24.44, 1; Daniel Hunter (Howick Pakuranga) 24.58, 2; William Benson (Heretaunga Sundevils) 24.76, 3. Women 50m backstroke: Gabrielle Fa’amausili (Roskill) 28.43, 1; Bobbi Gichard (Greendale) 28.99, 2; Caroline Baddock (North Shore) 29.88, 3. Men 100m backstroke: Corey Main (Howick Pakuranga) 54.41, 1 (Qualified FINA World Championships); Daniel Blackborrow (Visitor, MLC Aquatic) 56.76, 2; Corneille Coetzee (North Shore) 56.83, 2; Andrew Trembath (Neptune) 57.63, 3. Women 100m breaststroke: Natasha Lloyd (North Canterbury) 1:09.96, 1; Kendall Reidy (Central Hawkes Bay) 1:12.81, 2; Jane Ip (West Auckland) 1:13.04, 3. Men 200m individual medley: Bradlee Ashby (Fairfield) 2:00.76, 1 (Qualified FINA World Championships); Mitchell Donaldson (North Shore) 2:04.40, 2; Wilrich Coetzee (North Shore) 2:05.09, 3. Women 200m individual medley: Helena Gasson (Fairfield) 2:17.45, 1; Kate Godfrey (Neptune) 2:18.21, 2; Yeonsu Lee (North Shore) 2:21.27, 3. Men 100m breaststroke: Christopher Arbuthnott (Ice Breaker) 1:20.21, 1; Tama Solouota (Papatoetoe) 1:41.61, 2; David Beck (West Auckland) 1:39.12, 3. Women 100m butterfly: Sophie Pascoe (QEII) 1:03.72, 1 (Qualified IPC Swimming World Championships, World Record); Bryall McPherson (North Shore) 1:33.84), 2. Men 400m freestyle: Jesse Reynolds (Fairfield) 4:30.15, 1 (Qualified IPC Swimming World Championships); Hamish McLean (Wanaka) 5:43.63, 2 (Qualified IPC Swimming World Championships). Women 400m freestyle: Mary Fisher (Capital) 5:26.72, 1 (Qualified IPC Swimming World Championships); Rebecca Dubber (North Shore) 5:33.72, 2 (Qualified IPC Swimming World Championships); Tayla Clement (North Shore) 5:26.38, 3. Men 50m butterfly: Daniel Gaualofa (Bay of Islands) 30.41, 1; David Beck (West Auckland) 34.98, 2. Men 100m backstroke: Jesse Reynolds (Fairfield) 1:08.12, 1; Christopher Arbuthnott (Ice Breaker) 1:13.22, 2; Tama Solouota 1:27.47, 3. Women 100m breaststroke: Georgia Gray (North Shore) 1:27.72, 1; Nikita Howarth (Te Awamutu) 1:31.06, 2. Men 200m individual medley: Christopher Arbuthnott (Ice Breaker) 2:33.62, 1; Hamish McLean (Wanaka) 3:14.65, 2; Daniel Gaualofa (Bay of Islands) 2:42.25, 3. Women 200m individual medley: Sophie Pascoe (QEII) 2:26.93, 1 (Qualified IPC Swimming World Championships); Nikita Howarth (Te Awamutu) 3:02.66, 2 (Qualified IPC Swimming World Championships); Mary Fisher (Capital) 3:01.56, 3 (Qualified IPC Swimming World Championships). Caption: Corey Main celebrates his qualifying effort in the 100m backstroke while Glenn Snyders focusses on the start in his qualifying swim in the 100m breaststroke on the first day of the New Zealand Open Championships in Henderson.